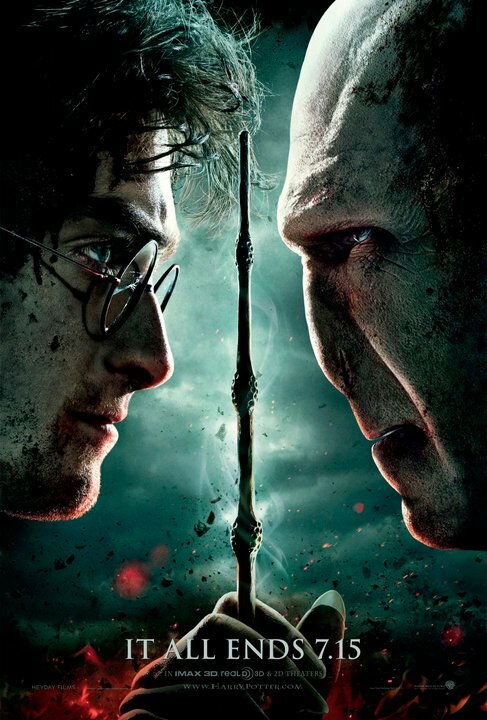 New Potter Poster Hints at Harry/Voldemort Pie-Eating Contest | Critical End! Harry and Voldemort magically switch bodies. Voldemort puts a bunch of lipstick on Harry to make everyone thing he’s a nancy. Harry convinces Voldemort that he just needs to learn to be human again. Wacky montage ensues in which Voldemort cuts himself shaving. Turns out the climactic last horcrux is at the bottom of a vat of strawberry Quick. We’ll just have to wait for July to find out! IN 3D. This entry was posted on Wednesday, March 30th, 2011 at 1:54 pmand is filed under . You can follow any responses to this entry through the RSS 2.0 feed. Both comments and pings are currently closed.